As featured on the National Association of REALTORS® YPN Lounge. 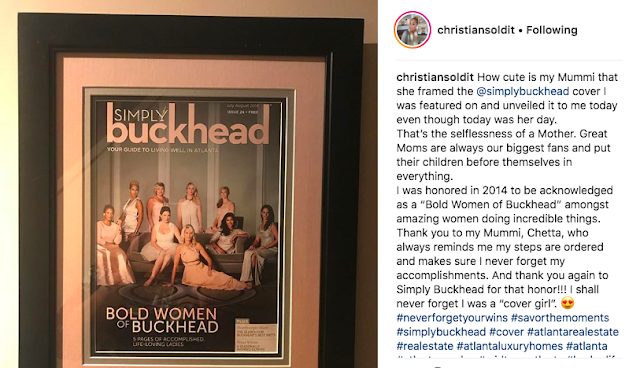 Christian making a magazine appearance. A week in my business is filled with appointments, client follow up, making videos, supporting my team (and brokerage) of agents, writing lots of thank you cards, previewing properties and studying the market. 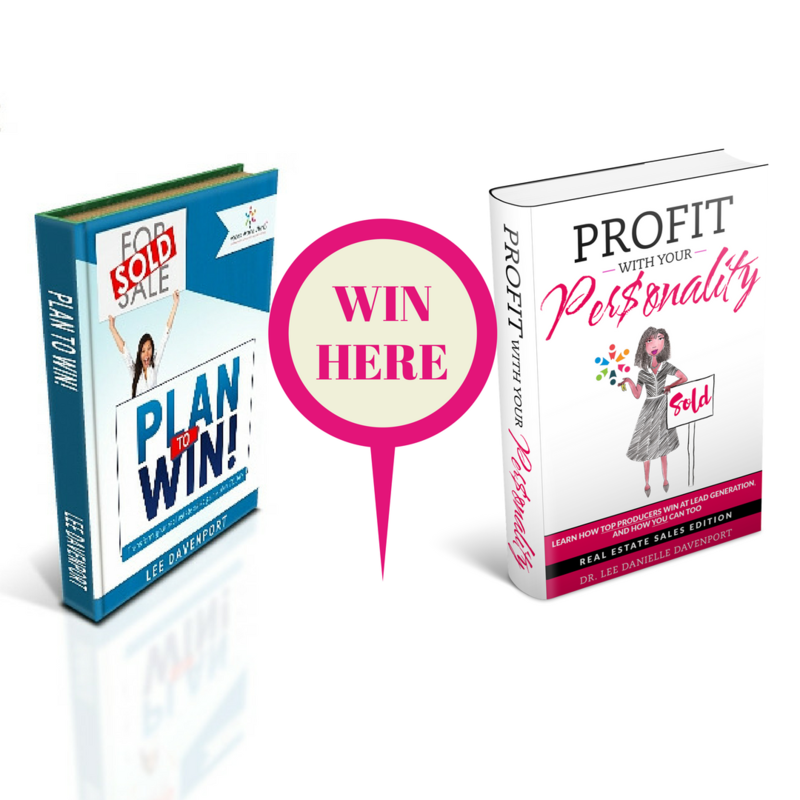 I generate leads through marketing to my sphere, videos, CRS Referral Exchange, offering thought leadership to groups and publications and networking. COACHING PLAYBOOK: Christian has a minimum of 5 lead generation activities that she does consistently. Did you catch that? Vital Fact: Having at least 5 leader generation activities is a key factor of some of the nation's top 1,000 real estate sales agents (whom I interviewed for my scientific, peer-reviewed study on how top producers succeed). Christian's 5 lead generation activities may not be you exact choice for your 5 but the key point is you need more than one or two. Often when an agent reaches out to me for coaching because they are distressed about their inconsistent income, it is typically due to them having usually only one maybe two activities they do semi-consistently to generate business. That is not enough, especially if you desire to be a top producer. On-the-Job Training Assignment: I challenge you to get to at least 5 consistent lead generation activities (weekly but more often is better). What advice do you have for a RE pro stuggling? 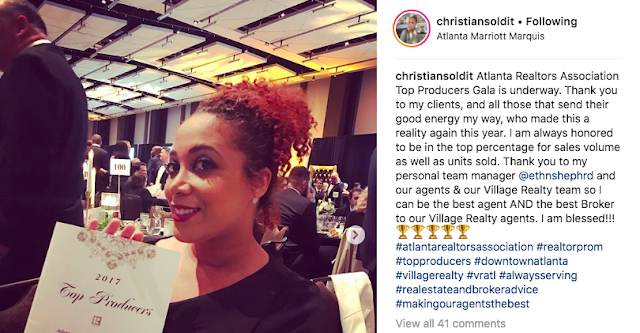 Christian honored at a local REALTOR® association Top Producer Gala. FOCUS. While you focus on what you want, who you want to serve, how you will serve them and deliver the most exceptional customer service, you must constantly be learning. You have to take the time to attend classes, network with other real estate professionals and potential clients, read blogs and industry sites and be a student of your market. Get a coach who can see your inefficiencies and help you correct them faster. Create daily goals so you design habitual momentum. Talk to the people that know and like you and show them gratitude. Ask other agents how you can help them with their business: show properties for them, draft offers, host open houses, attend caravans. Whatever you do, do not expect business to come to you. You have to earn it every single day. Finally, always create value and always keep learning. Remember that is your job to serve and protect your clients and give back to the communities you work in. COACHING PLAYBOOK: Are you ready to hustle everyday? If you want different/better results every quarter and every year, then you must continue to learn AND apply what is learned. We are in an ever-changing industry plus we constantly faced with disruptors that would like to replace us. Applied knowledge is our staying power. Christian is dedicated to being a life-longer learner and you can be too. On-the-Job Training Assignment: How can you build into your schedule a way to stay current? Grammarly - since Gmail does not check your spelling! ParkMobile so I don't have to get out of my car to fumble with the meter to pay for parking. It takes me 1 minute on the app and is safer as I am not rummaging in my purse for my credit card or cash. We Chat to connect with prospects and clients in China. Follow Up Boss - all of our leads flow in and I have my call list already itemized. CNBC - latest financial news and the markets to understand what is impacting consumer confidence. Google Analytics - how else do you know that visitors come to your site at 1 am on Tuesdays or mainly from 10am - 3pm Monday- Wednesday? COACHING PLAYBOOK: Ever-evolving technology can be a love-hate relationship for many of us, especially if a technology does not come easy for you. Yet, technology can be our business' best friend by helping us work smarter and not longer. To make it easier, Product Hunt has several free options for you to learn daily about new apps and resources that are proving to help fellow business owners. On-the-Job Training Assignment: Which of these tools and resources can you explore?